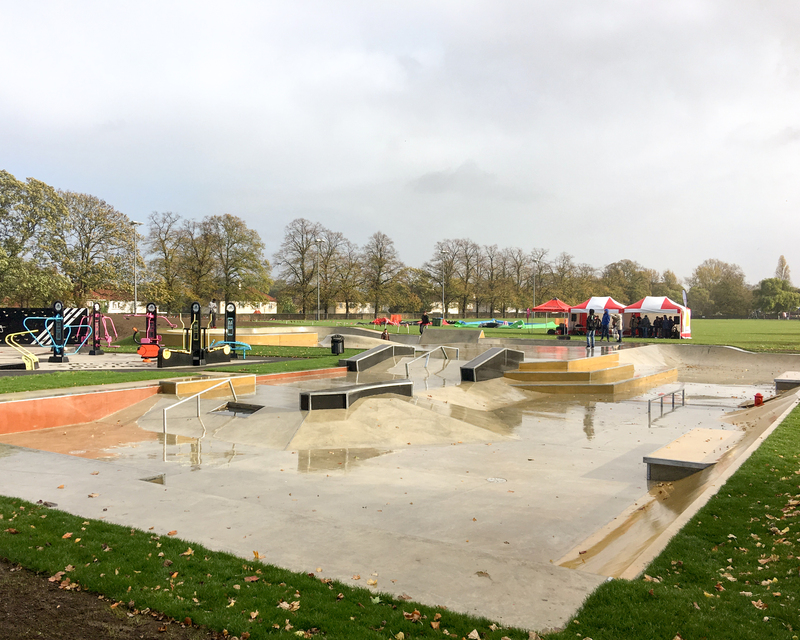 Unperturbed by Storm Brian, a decent crowd showed up in Charlton Park on Saturday morning to witness the official opening of the skatepark. A downpour mid-morning meant a bit of delay in proceedings but by 11.30am skating was underway, after a short speech by Denise Scott-McDonald, Greenwich Council’s cabinet member for Culture, Creative Industries and Community Well-Being, who encouraged the crowd to “to get skating, whatever your age!”. 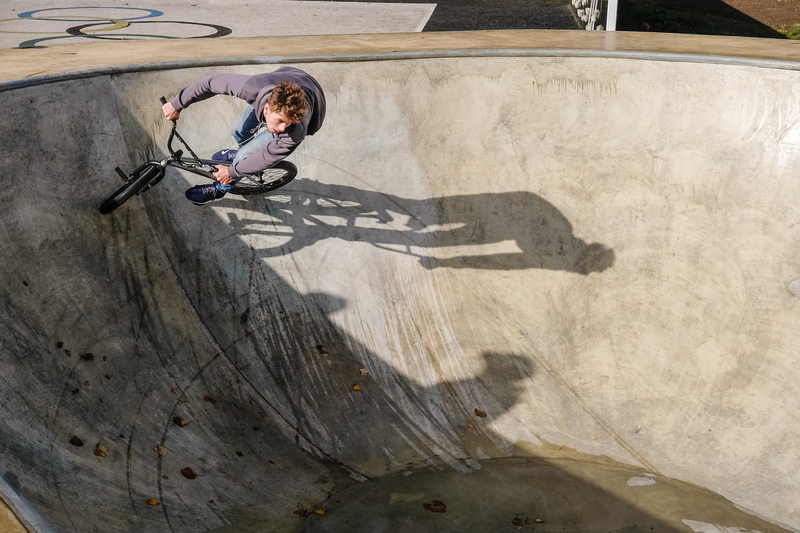 The skatepark is located next to the outdoor gym, close to the Old Cottage Cafe. 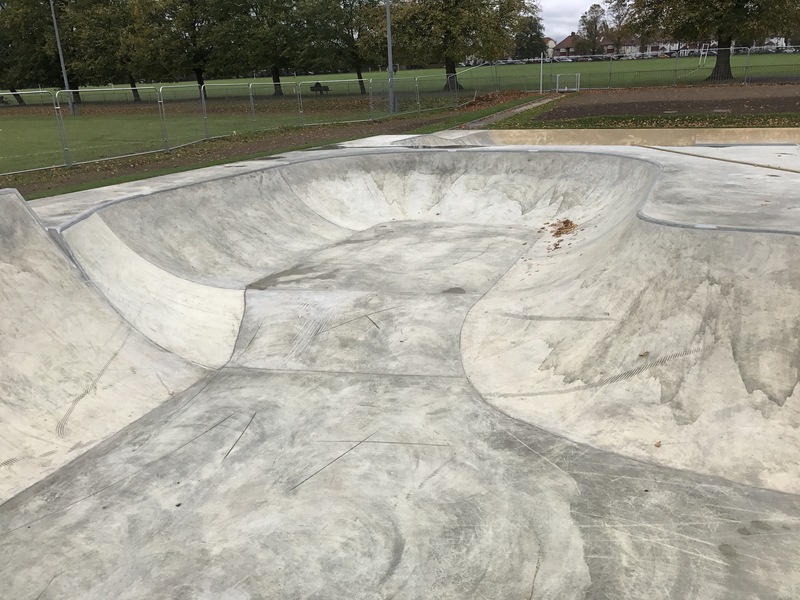 It features a bowl, plus a street skate area, and was being used by people on skateboards, BMXs, and microscooters when we visited. 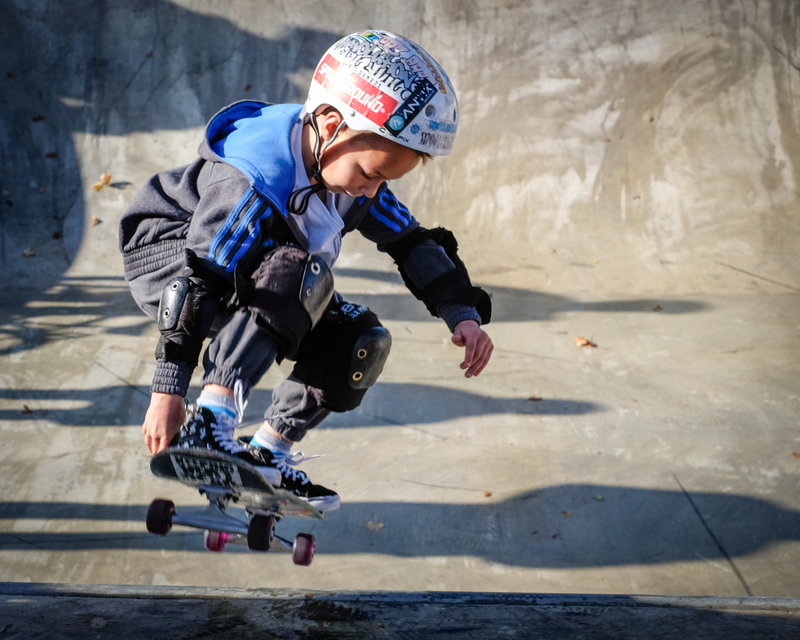 You can read Greenwich Council’s press release about the skate park launch here. Did you go along this morning? Have you tried the skatepark? Let us know what you thought of it in the comments below. 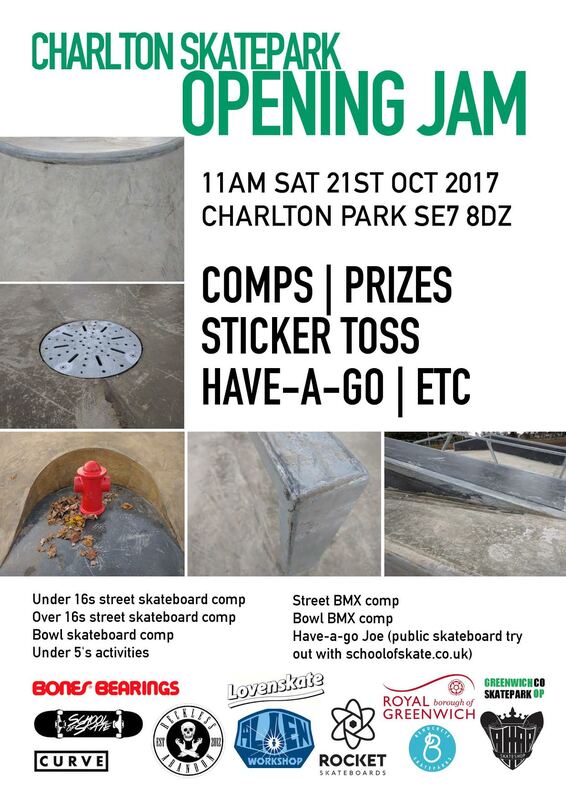 Charlton’s new skate park opens this coming Saturday, October 21st, in Charlton Park. 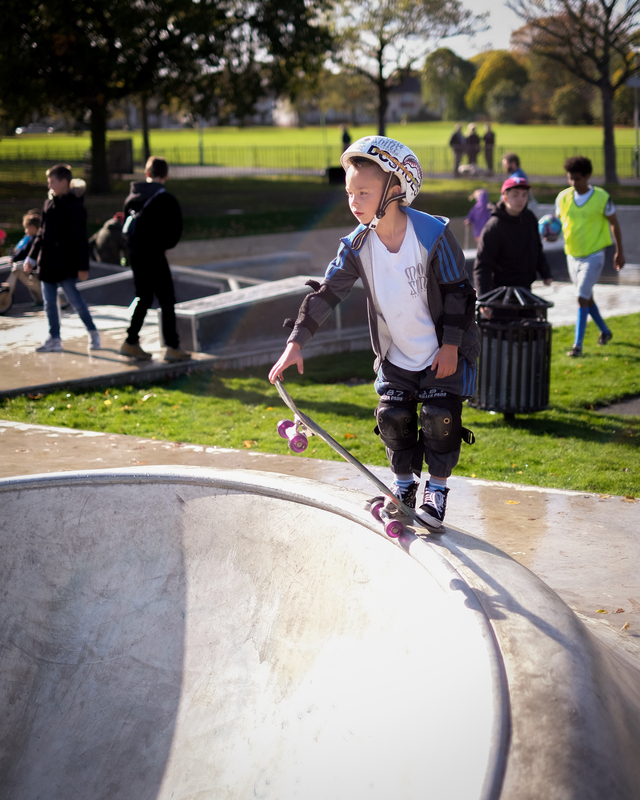 We understand that there will be an official opening ceremony led by Greenwich Council representatives at 11am; a range of activities and competitions organised by Greenwich Skatepark Cooperative will follow on, including ‘try out’ sessions. 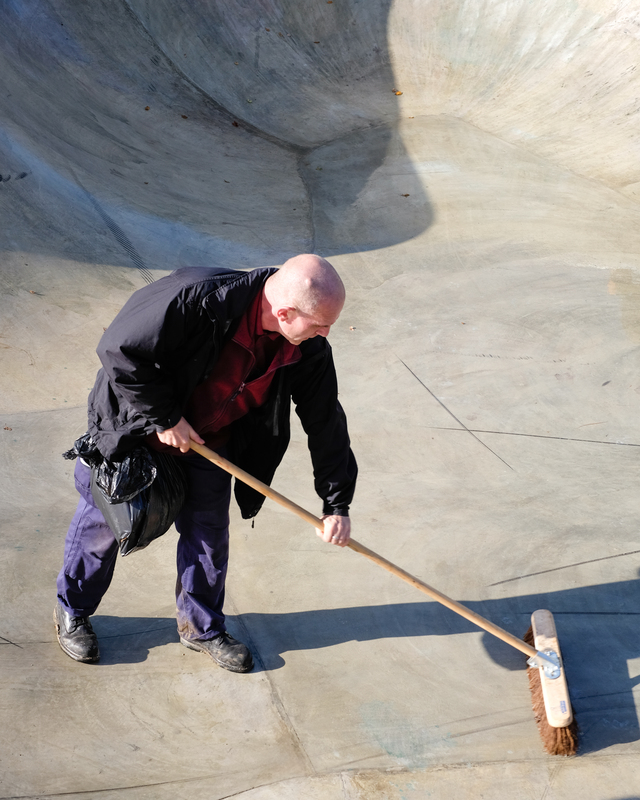 Keep up to date and find out more at Greenwich Skatepark Cooperative’s Facebook event. 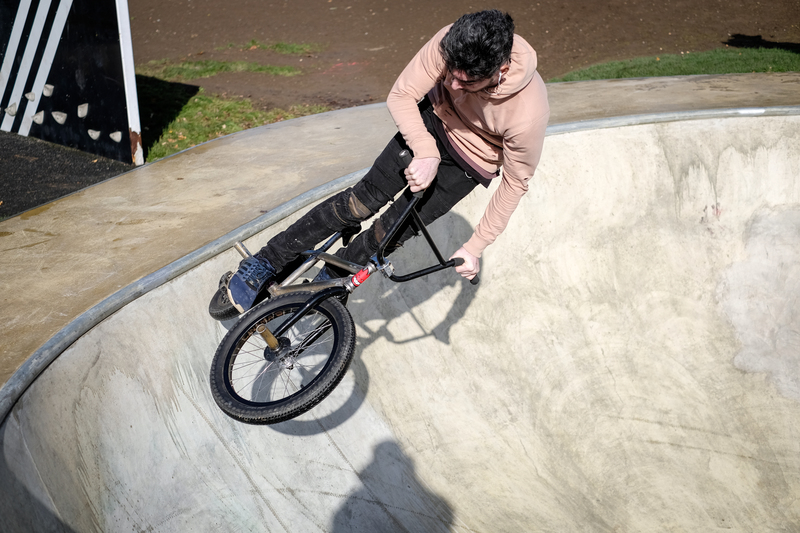 It’s coming… work began today on turning a corner of Charlton Park into a new skate park. Greenwich Council plans to have the new facility ready in October, and work is due to take place on the site between 8am and 6pm on weekdays. Detailed designs were given final planning permission earlier this month. Already, a tree has been felled to make way for the new facility, which will curve around the outdoor gym. 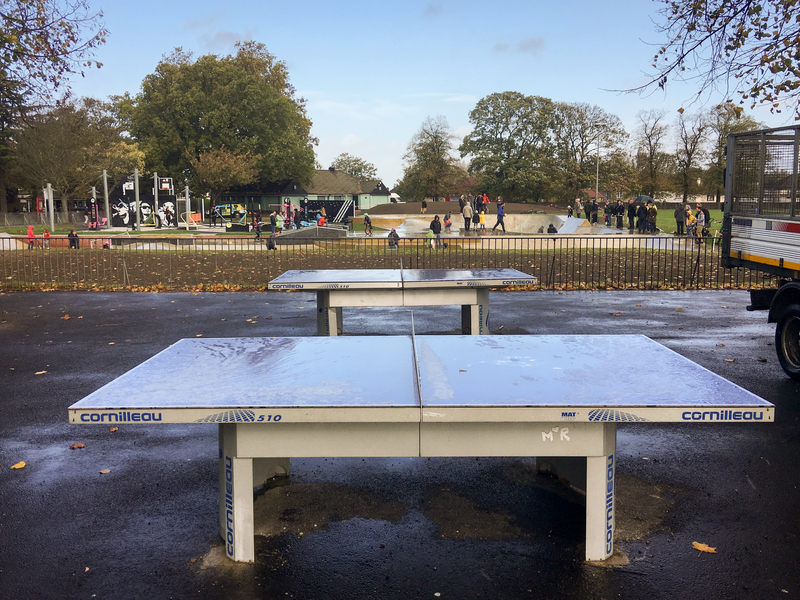 The skate park, which is funded by Berkeley Homes and replaces one it has built on in Woolwich, caused some controversy with a Friends of Charlton Park group being formed to fight the proposals. 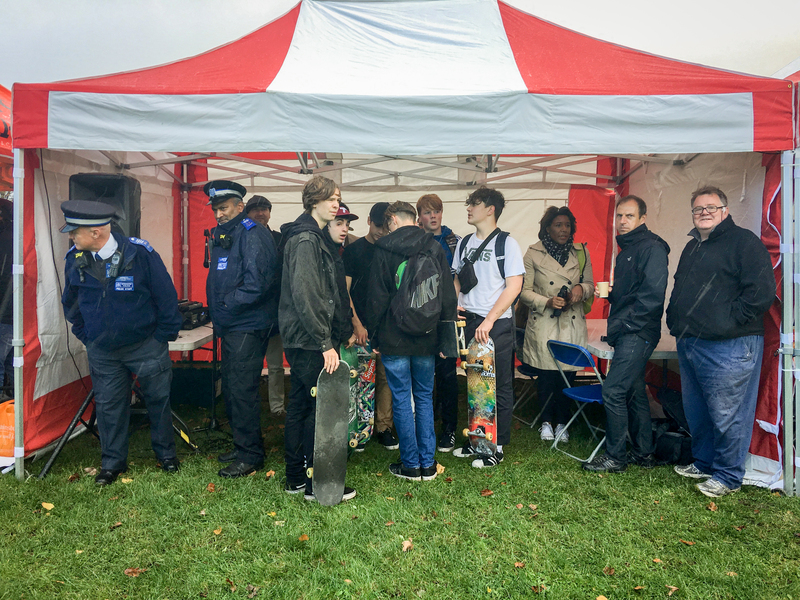 However, with that battle lost, the group is looking for new members – so if you want to get in involved in the future of Charlton Park and its new skate park, application forms should be in the Old Cottage Cafe. 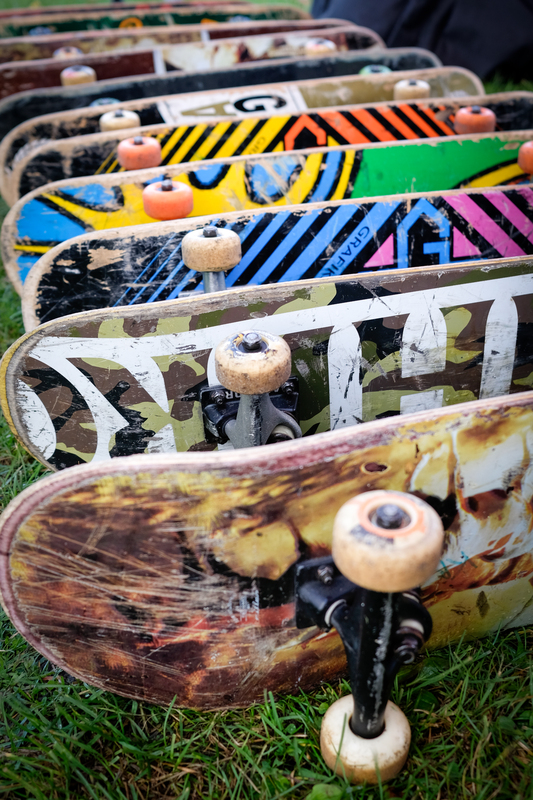 Greenwich Council planners are seeking views on the proposed skatepark in Charlton Park – so if you’ve got a strong view on the proposal, now’s the chance to have your say. The proposals, which have attracted petitions both for and against the scheme, would see an L-shaped facility built around the mini-gym to the south of the Charlton Lane entrance. You can see the initial plans for yourself on the Greenwich Council website (search the online planning system for 16/0058/O if the link doesn’t work). This application is to get permission for the location and size (900m²) – full details, including the final design, will follow in a further application, if this one gets the nod. So there’s no visualisation of how the landscaped facility will look – the closest you’ll find is a site plan showing the dimensions of the skate park. The location has been chosen for its “minimal effect on Charlton House”, according to a statement from Woolwich-based architecture firm Martin Arnold, which is handling the scheme for Greenwich Council. 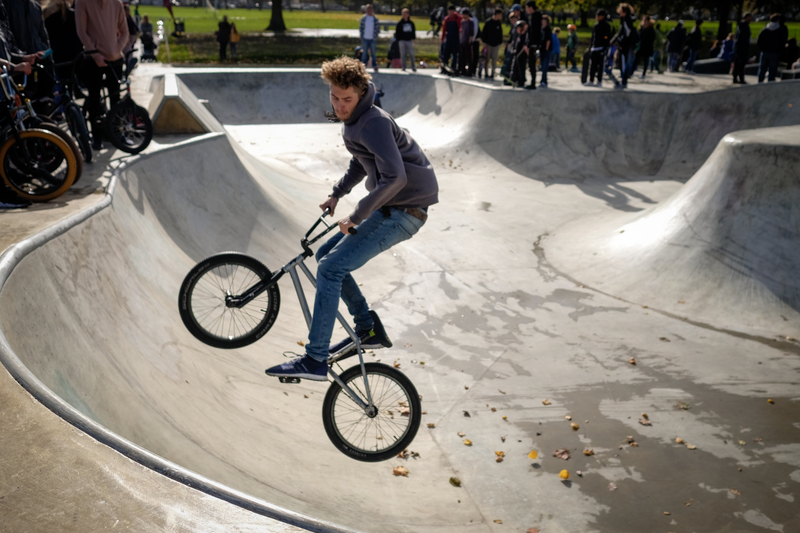 “The proposed design will aim to be sympathetic to Charlton Park with features of the skatepark complementing materials and finishes from Charlton House. 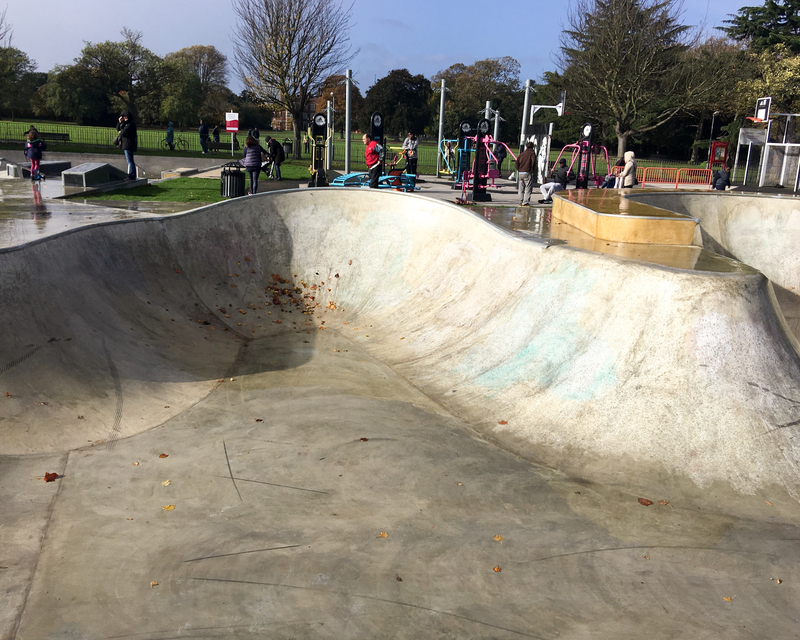 The open nature of the park will try to be maintained by sinking the skatepark within the ground to reduce the visual impact of the proposal within Charlton Park and also assist in noise reduction. 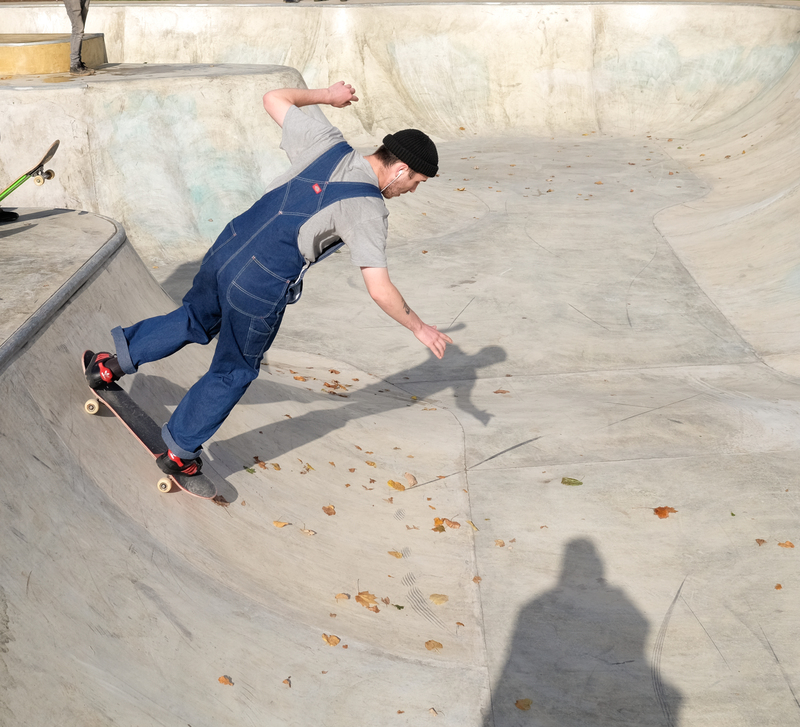 “The skatepark will be excavated into the ground at different depths and heights with a maximum measurement of 1600mm below the existing ground level. The proposed skatepark will not extend more than 750mm above the existing ground level, for reference the adjacent climbing wall is approximately 2000mm above the existing ground level. Comments need to be with Greenwich Council – either through the planning website or by emailing planning[at]royalgreenwich.gov.uk – by 15 March. The proposals have been controversial since they first emerged in July 2014, mainly due to the lack of public consultation on the scheme. 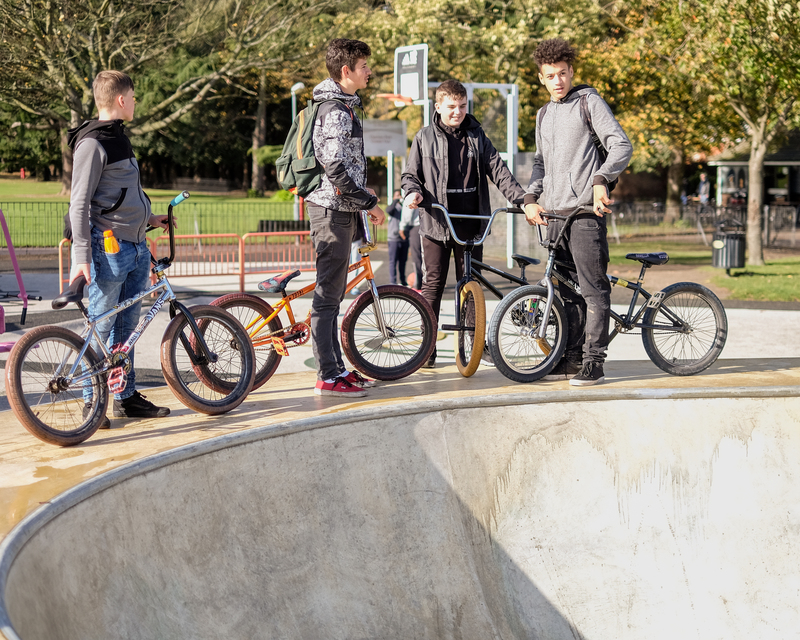 Funding for the scheme is coming from Berkeley Homes, which is paying £365,000 towards the facility to replace the skatepark at Royal Arsenal Gardens, Woolwich. A condition of the money was that the new park had to be within two miles of Woolwich. A further £15,000 is coming from the council. Sites at Hornfair Park and Barrier Park were also considered, this website has also discovered that a site at Villas Road, Plumstead was also briefly in contention. A “stakeholders’ forum” has been meeting regularly since then to discuss the proposals. A Friends of Charlton Park group was set up to oppose the proposals. A 728-name petition was dismissed by the council last year. 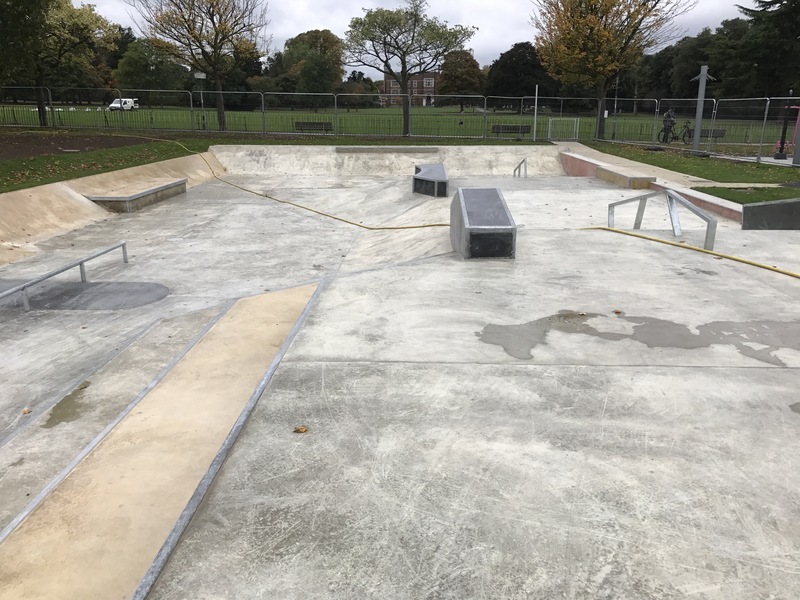 “Charlton Park was deemed the most suitable location for a skate park because it is a visible, safe area that: is easily accessible by foot or public transport, has existing infrastructure such as toilets and floodlighting and is close to local amenities. 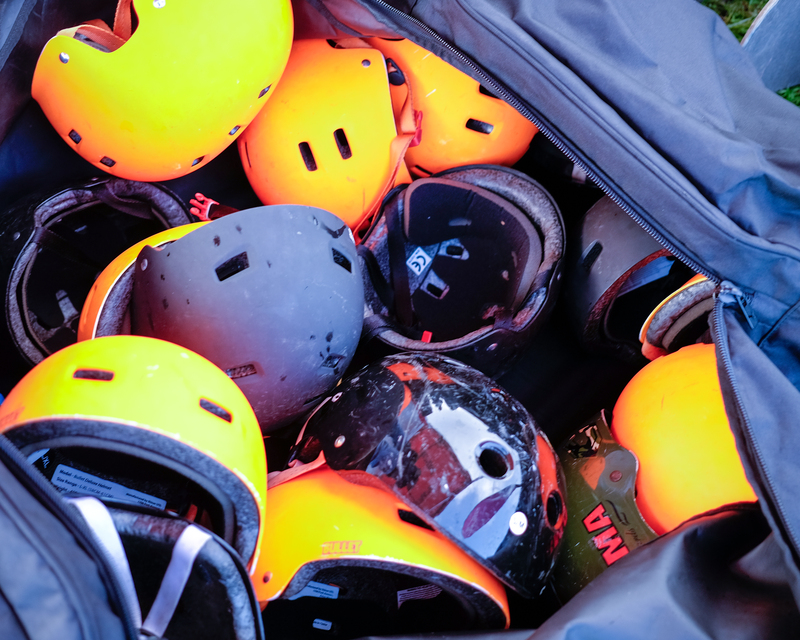 It will also complement the existing sport and leisure provision in the park. Despite this official support from the council, one curious feature of the scheme is that local councillors have been lukewarm at best in their backing for the proposals. 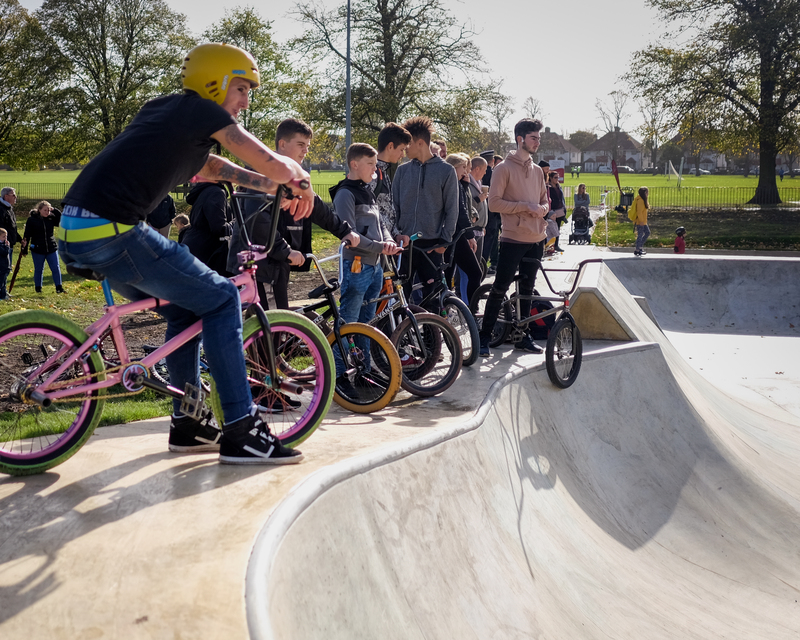 Since the planning application is not fully detailed, one thing is certain – the skatepark saga has some way to stagger on yet. 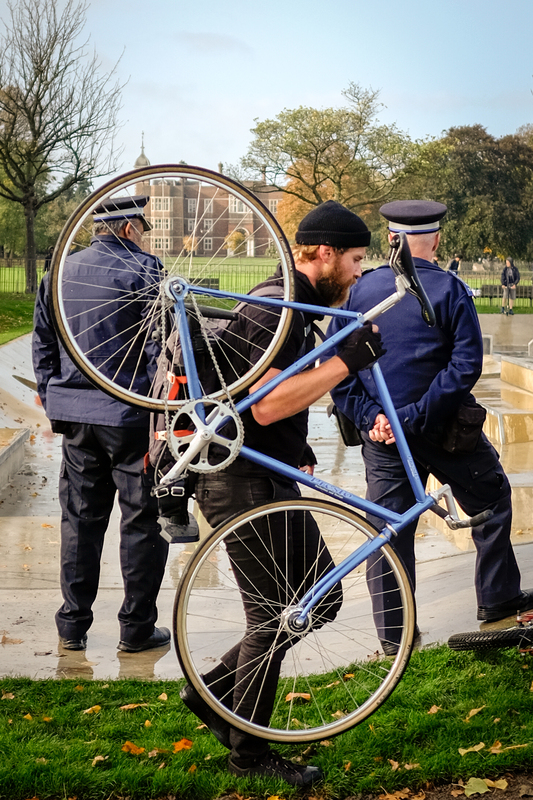 I went along to a recent skate park stakeholders meeting at Woolwich Town Hall on Friday and thought I’d report back. Although ostensibly the meeting was to report on the findings of the feasibility study and get feedback, there was also a large amount of anger directed at both the idea of a Charlton Park skate park in general, and specifically at the manner in which the consultation had taken place. 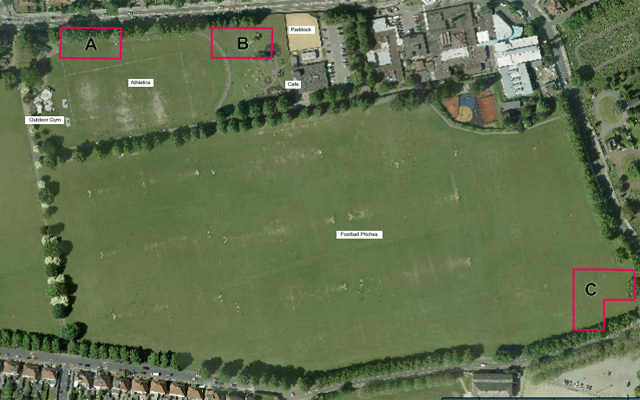 The initial consultation had given residents the choice of three locations, all within Charlton Park. Amy London, project manager for the Skate Park, went through the various reasons why Locations C and B had been rejected and Location A agreed upon. The short version is that Location C (in the corner by the cemetery and the hospital) was too out-of-the-way and Location B was deemed too close to homes over the road and the horses at the Riding for the Disabled area. Location A was the preferred option, both by the public and the planners. Originally tucked into the corner, the location has since been shifted south slightly to form an L-shape around the outdoor gym. That move was to take the park further from homes (the original location was deemed too close) but brings the park into the sightline from Charlton House. 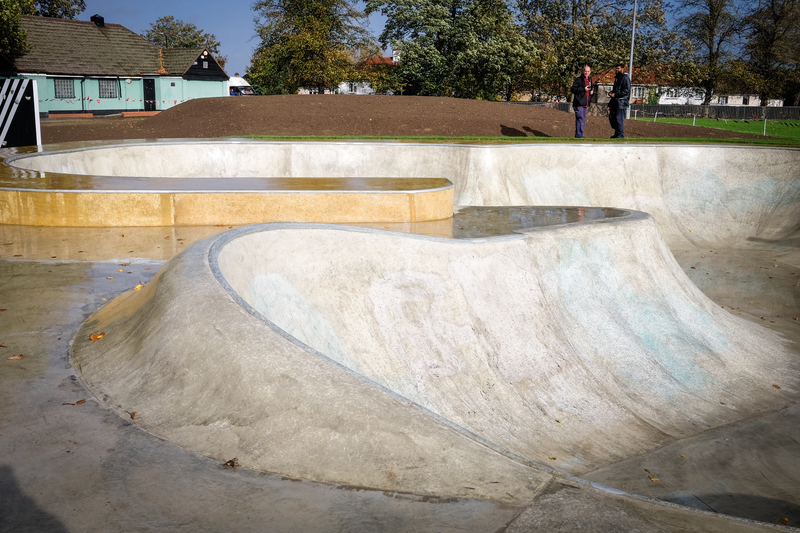 English Heritage, and others, had been consulted over the sightline and their feedback was that so long as the skate park was mostly sunken, and was surrounded properly by soft landscaping (that’s trees and bushes to you and me), then the various heritage bodies were satisfied. At the end of the meeting a quick trip round the table suggested that all present agreed that of the options presented, the only real possibility had been chosen. Nobody doubted the ability and commitment of Amy and her team – including project architect Rob Montague – to deliver. Sadly, most agreement ended there. A skate park already exists at Royal Arsenal Gardens in Woolwich. The land has been sold to Berkeley Homes and the council has received Section 106 money with which to replace the facility. Conditions on the money state that the replacement facility must be within 2 miles of the existing facility and the council, at a meeting last year, deemed Charlton Park the only suitable venue. So a skate park we shall have. To put my own cards on the tablem I would be happy to see a skate park in the suggested location. 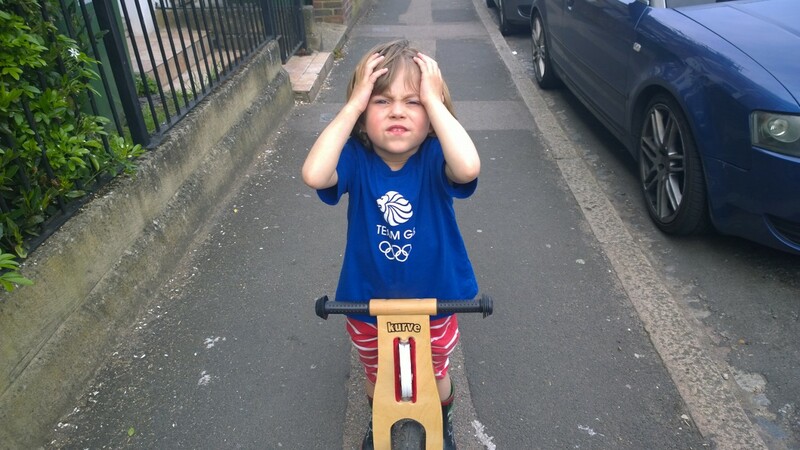 I have two young children and I think they would love it (figures quoted at the meeting suggest around 80% of users of skate parks are small kids on scooters). I also think Charlton Park has plenty of space and losing a relatively small amount of grass (1,000 square metres) is acceptable if the facility is of a high standard (nobody wants a bad skate park). It’s also a view shared by many parents I know. But others at the meeting disagreed, often vehemently, and argued in particular that a skate park would generate a large amount of noise and would ‘destroy’ the tranquility of the park and specifically the oasis of calm that is the Old Cottage Coffee Shop. At least one meeting member had signed this petition, raised by a newly formed Friends of Charlton Park group, to oppose the skate park. I contacted the site via social media asking who exactly these Friends were but received no reply. The coffee shop also has a written petition inside inviting people to oppose the skate park. 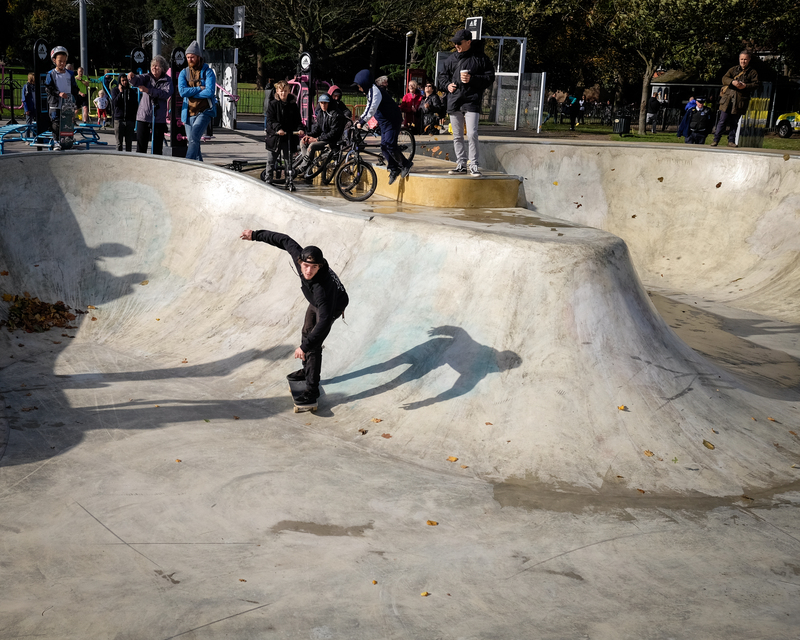 The anger felt by some at the meeting at the skate parks proximity to the Coffee Shop was compounded by the fact that members of the public were not given an option to vote ‘None of the Above’ in the initial consultation. 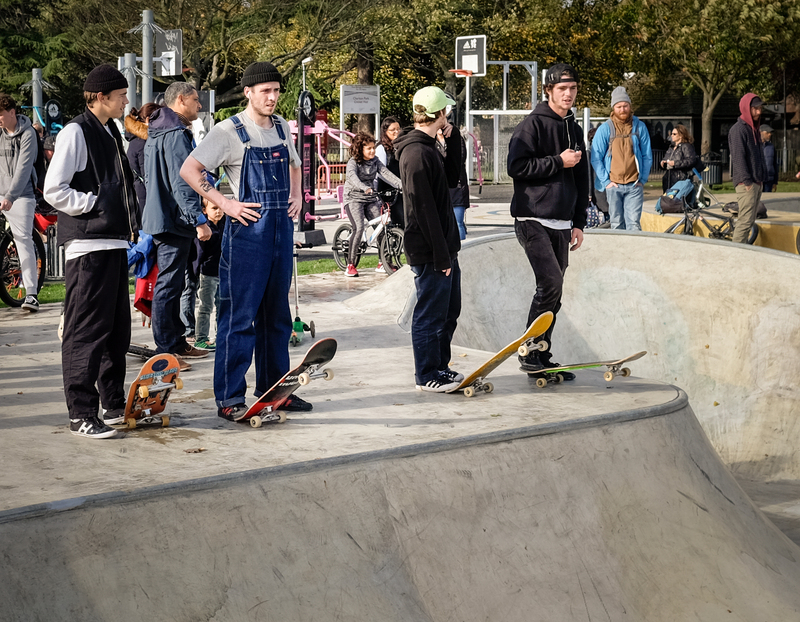 While conceding that consultation had been poor, members of the local skating community at the meeting were quick to point out that Charlton Park was a facility for everybody and at the moment skaters were poorly served in the borough; Royal Arsenal Gardens is the only skate park at present, and that is destined to become flats. To add insult to injury there was talk of a new byelaw (or possibly the use of existing ones, details were sketchy) to stop skateboarders in General Gordon Square and other public spaces. It’s hard to escape the view that skaters are seen as a blot on the landscape and are being shoved out of view of the shiny new Woolwich. 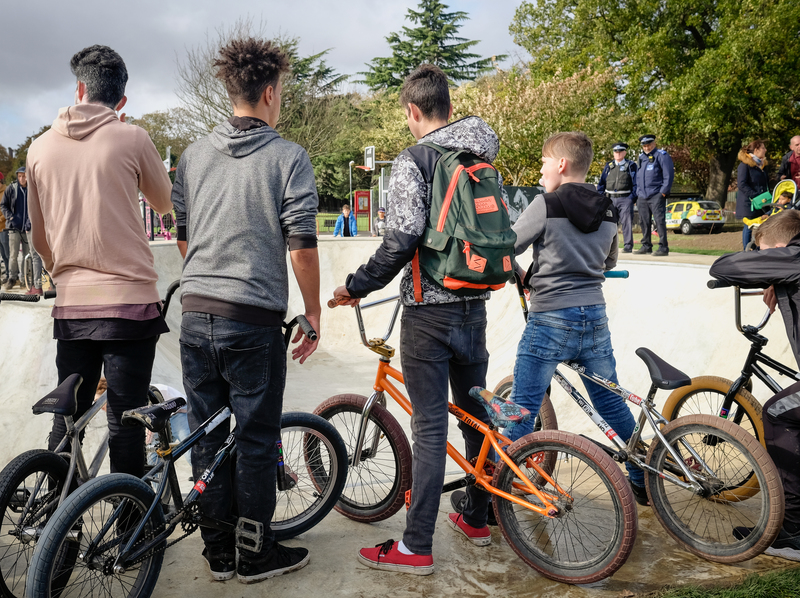 Another point made by a local skater was that the BMX track at Hornfair Park had attracted similar concern over antisocial behaviour but those fears had not been realised. There was no reason to suggest a skate park would be any different. And so the meeting wound to a close with a general consensus that the decisions taken so far by Amy and the team were the correct ones. 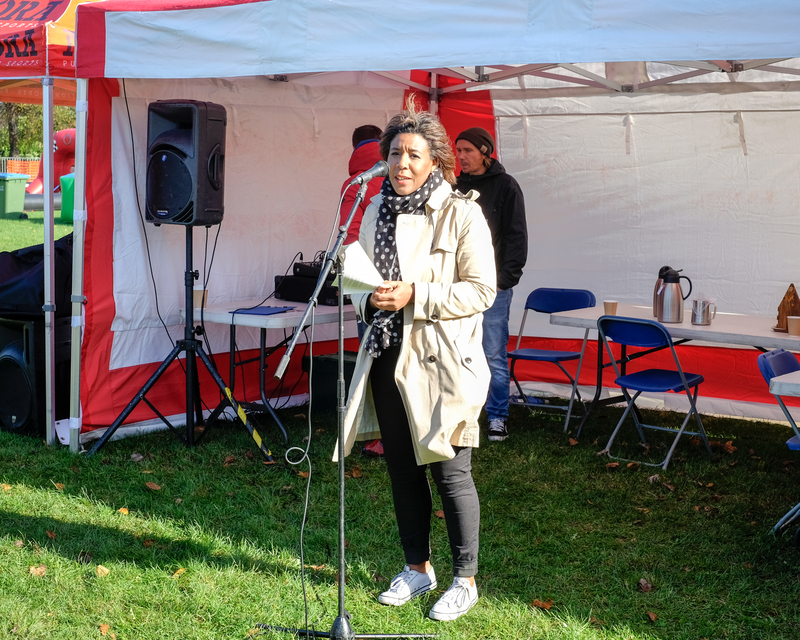 However, there remained a strong sense that the park was being imposed on residents by a council in a hurry to ‘fix’ a problem they had bought on themselves through their sale of land to Berkeley Homes. 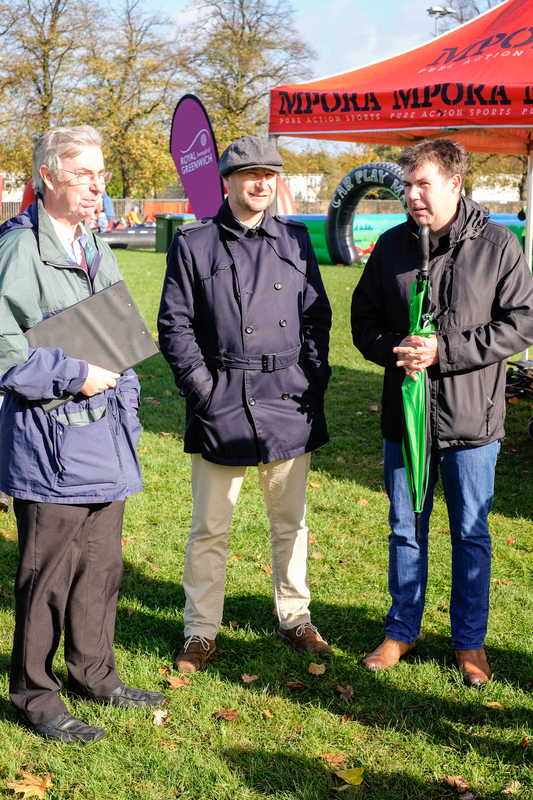 There was concern raised that the three local Charlton ward councillors appeared to be doing little to facilitate local concerns. 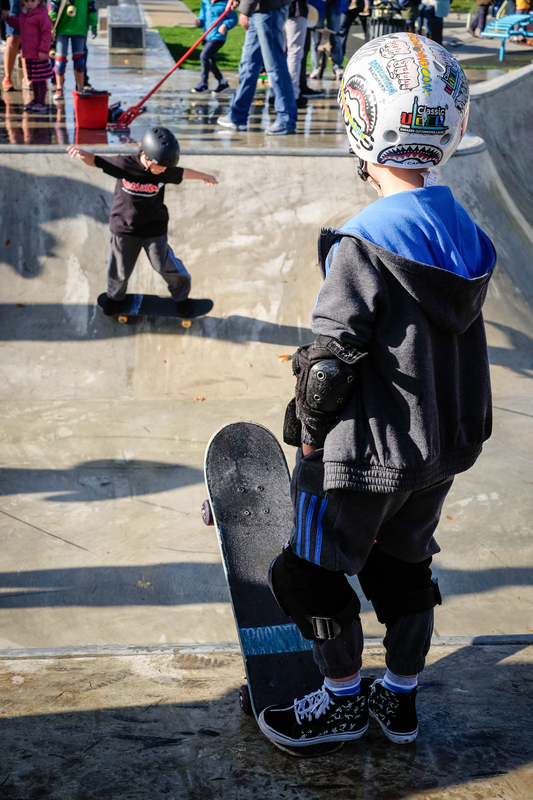 There will be further consultation on the design of the skate park, with work due to start in February 2016 and the skate park opening later that year. The “stakeholders forum” is ongoing and a trip is planned to see both a good and a bad skate park in London so people can see for themselves what works and what doesn’t. 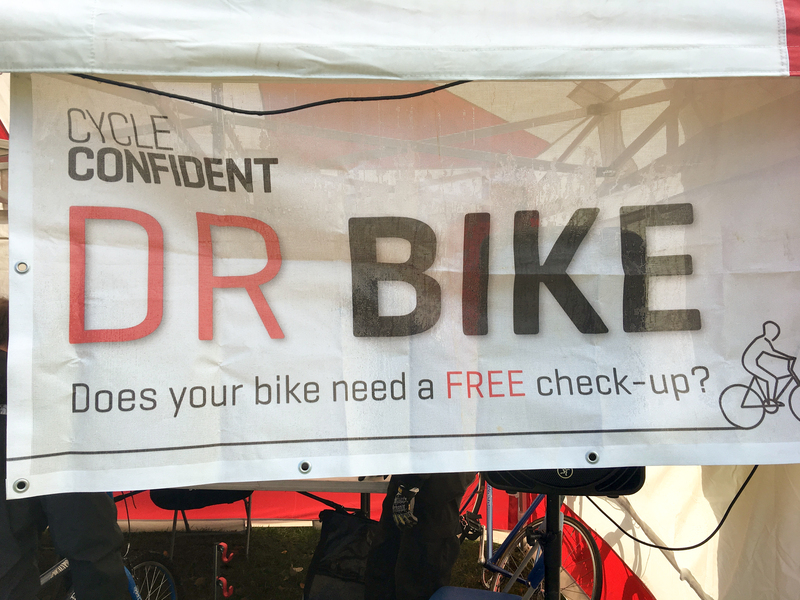 Amy would welcome more local people getting involved in the process – to do so please email wheelsports-survey@royalgreenwich.gov.uk. The King’s Troop Royal Horse Artillery will receive their Annual Inspection in Charlton on Tuesday morning. Rob Powell, who took the photos above, explains more. 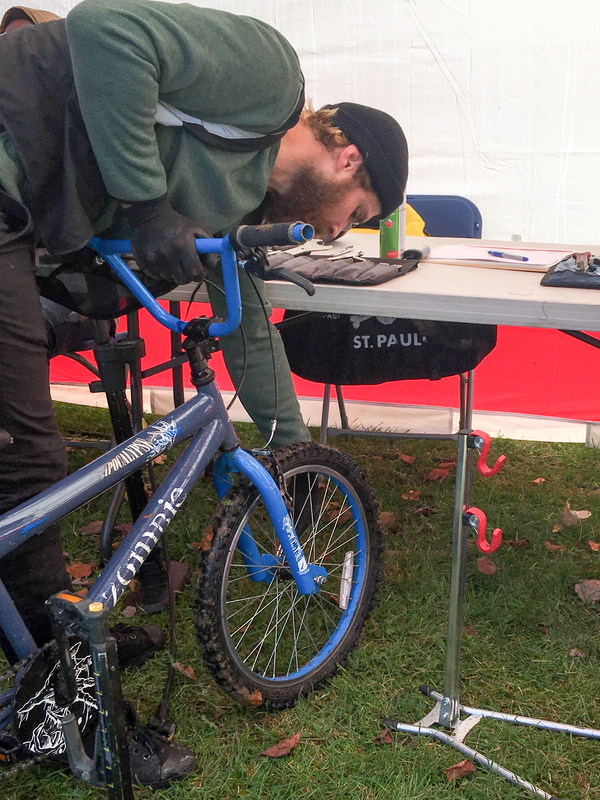 In previous years the event has taken place in Regent’s Park, close to their previous St John’s Wood home, but this year’s inspection will take place in Charlton Park, a stone’s throw from the base in Woolwich they moved to in February 2012. 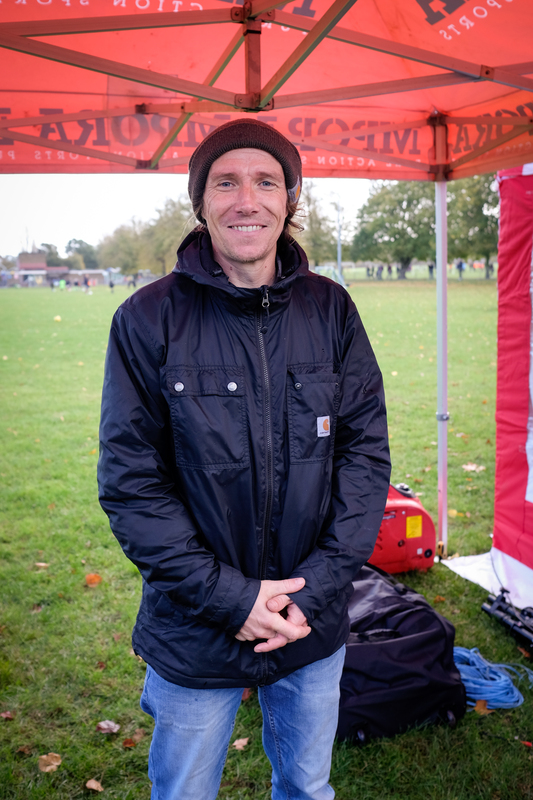 They have been using a section of the park close to Cemetery Lane for practice since London 2012 took over parts of Woolwich Common, although a notice on Greenwich Council’s website continues to say they’d be using Charlton Park only up until the summer of 2014. Two rehearsals of the Troop’s famous Musical Drive took place in the park last week, with the Royal Artillery Band returning to Greenwich borough after their 200-year association with Woolwich ended last February. Unless the arrival of a new royal baby requires the King’s Troop RHA to be peforming a gun salute elsewhere, the Annual Inspection will take place on Tuesday morning at 10am.